Based in Brighton, Paxton designs and manufactures intelligent security systems for buildings such as residential blocks, schools, gyms, hospitals and facilities like Manchester United’s Old Trafford stadium. The Paxton scholarship is open to students studying engineering and product design-related courses. 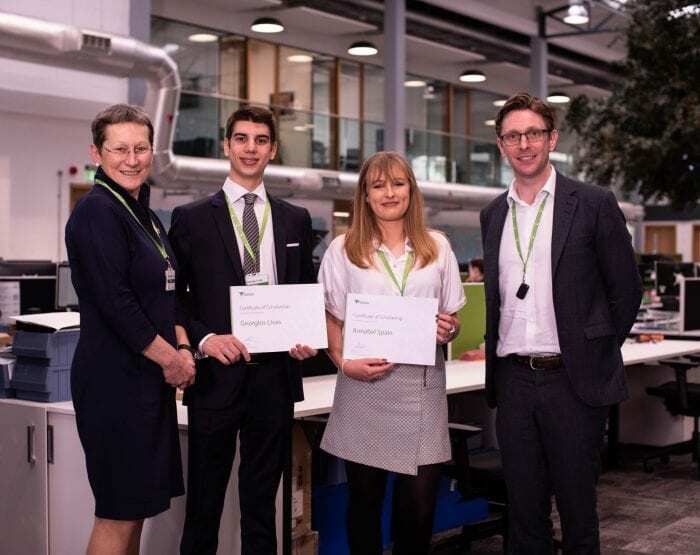 The students were selected after attending an open day at Paxton’s state-of-the-art technology centre in November, as well as an assessment day and interview. Annabel and George will start their placement in July, before their final year of study. The University’s Vice-Chancellor Professor Debra Humphris said: “We are delighted that Annabel and George have been selected as two of the four Paxton Scholars for 2019 and I’m confident they will make the most of this exciting opportunity. This entry was posted in Awards, Computer science, Digital Marketing, Digital media, Events, Life at Brighton, Student Work, Uncategorized.